Mumbai, Jun 25 (PTI) Sridevi’s daughter Jhanvi Kapoor is yet to join Bollywood but the actress says she has already told her girl about the pros and cons of being an actor. “Since it’s happening in the beginning of her career she isn’t liking it. 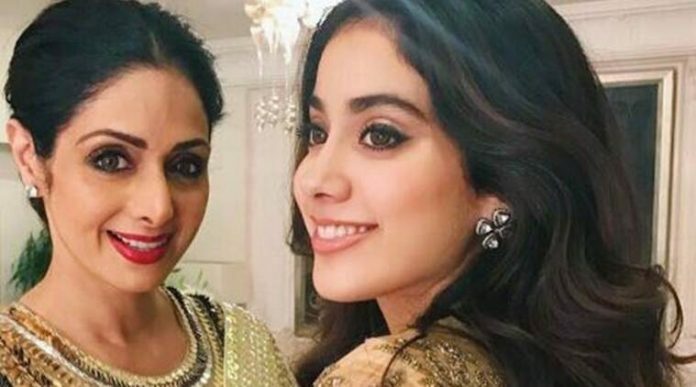 She was quite upset and I was like, ‘Welcome to this world,'” Sridevi told PTI. There were reports that Jhanvi had followed Ranbir Kapoor, supposedly her celebrity crush, around at a showbiz party. “Wherever she goes she gets clicked, so what do I say about that. Even when you go to a restaurant or gym or anywhere, they (media) are everywhere and I can’t blame them also as they are doing their job. Jhanvi, whose father, Boney Kapoor, is a well known producer, will be launched by Karan Johar’s Dharma Productions.